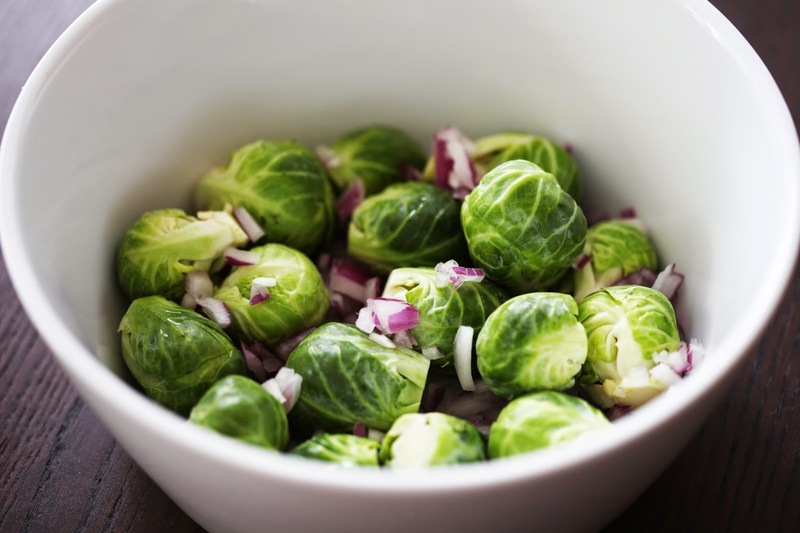 Brussel sprouts are loved or hated. In my case, I like them just fine but always look for good flavors to spruce them up. First wash them thoroughly, pull apart the outer leaves, and cut off the ends. 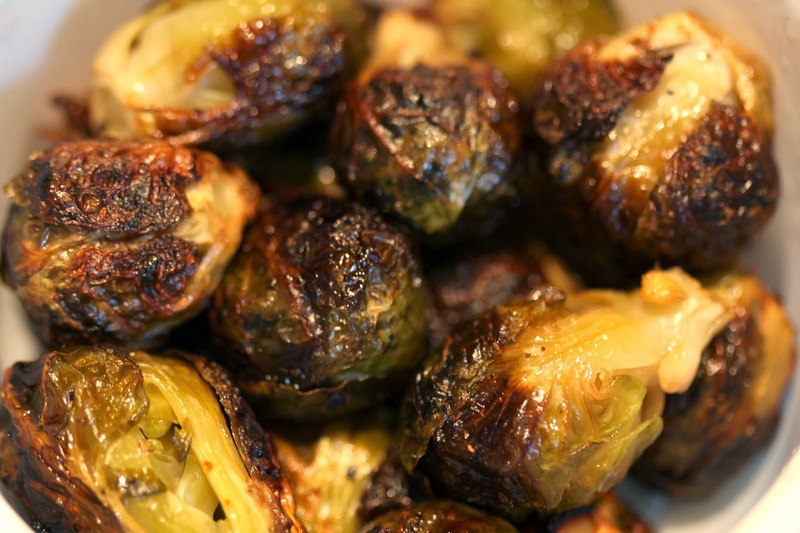 Brussel sprouts can be steamed, sauteed, baked, grilled, roasted. In this case, I had a good bunch of them that needed to get cooked and I decided to roast them. I had 1 tablespoon of chopped red onion left over from other things I was cooking, so I thought I’d add it to the brussel sprouts also. In a bowl, I mixed 1 1/2 tablespoons of olive oil, 1/2 teaspoon of sesame oil, a good splash of lemon juice, and salt, pepper, ground garlic, and ground ginger. Stirring the bowl to evenly coat all the brussel sprouts, I then laid them out on a foil-covered baking sheet. I included the red onion, which I wouldn’t recommend. I then pre-heated the oven to 400 and placed the sheet on the middle rack for about 30 minutes. In retrospect, I would recommend dropping the temperature or reducing the time. And definitely, no onions. The onions burned. 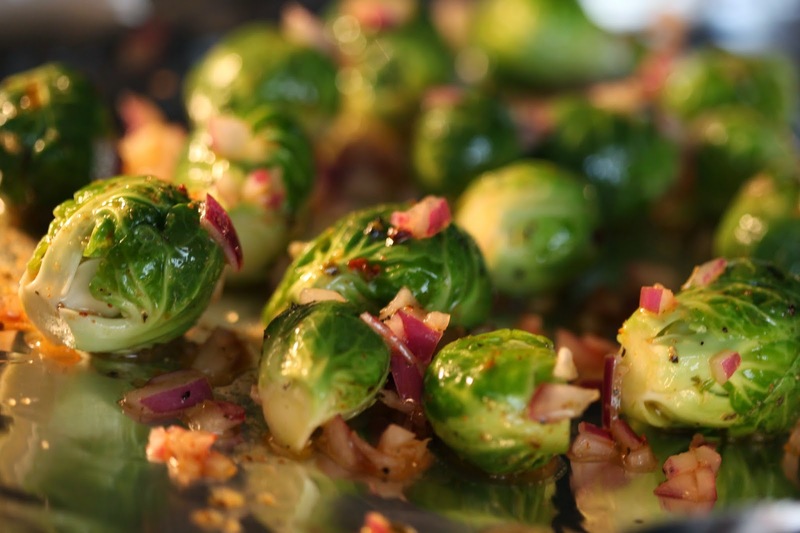 The brussel sprouts came out decent — with the outer leaves crispy and the inside still tender. They’re tasty, but I think I just need to work on the timing a bit more. ← Mung Beans and Lentil Soup.